Camping isn't limited to the woods, many people also camp wherever they can pitch a tent. Why not? What makes camping so popular is that it's so easy. Choose a spot, pitch a tent, build a fire and enjoy. Well, it's a little more than that. You should have a plan before you hit the camping trail. Yes, a plan. By preparing yourself for your camping adventure, you'll be sure to have everything you need to enjoy it. Write down the list of the camping gear and camping supplies you'll need before you set out on the road. One of the best camping tips I can give you is to take time to choose the proper equipment. Buying the right gear will ensure a fun and adventurous camping trip! Your most important piece of outdoor camping gear is your tent. Choosing one can be overwhelming for some because there are many different types of camping tents on the market. Why not check out the local sports store. Many of them have outdoor camping tents on display where you can go inside and get a feel for them. 1. Decide on the size of tent you want. Essentially, if you have 2 people, you would want to get a 4 person tent. This way, you'll have room for your camping gear and more space to move around. If you're a lone camper, then a one man tent may suffice but they don't offer much room for your gear so I would recommend a 2 person tent. That way, if you decide to hit the trail or beach, you won't have to leave your camping gear outside your tent. 2. 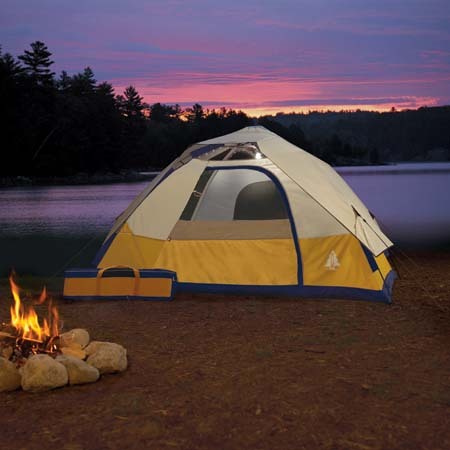 Camping tents are very affordable. Of course, the bigger the tent, the more expensive, but buying an outdoor camping tent of good quality will last you years, which makes them a excellent investment. If you're an occasional one-a-year-camper, then a less expensive tent will suffice. Otherwise, it's really a matter of preference. Remember, you get what you pay for. 3. Dome tents are by far the most popular tents on the market. They offer durable nylon walls and mesh screens for ventilation. Almost all have a rain fly, which is a large piece of material that is attached over the top of the tent to keep rain from entering. 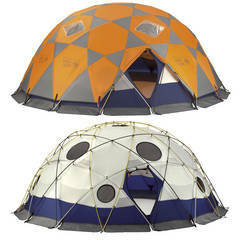 Dome tents are very easy to put together, are lightweight and, when packed, take very little space. Let me show you how to make your next camping trip one to remember! Get my free ebook, Essential Camping Tips, when you sign up for my free weekly camping survival tips online! I've been camping for over 30 years and there's nothing that compares to it. My secret to the ultimate camping adventure is planning! I'll show you how to get the most of your camping trip with my free weekly tips. Camping is one of life's joys, but it requires just a bit of preparation. Check out these tips for planning your next getaway, and you'll enjoy a camping trip to remember. Thanks for sharing these wonderful tips. All the tips you gave are utmost useful for all. You may Visit Page to know more about the tents. Thanks again for the nudge!